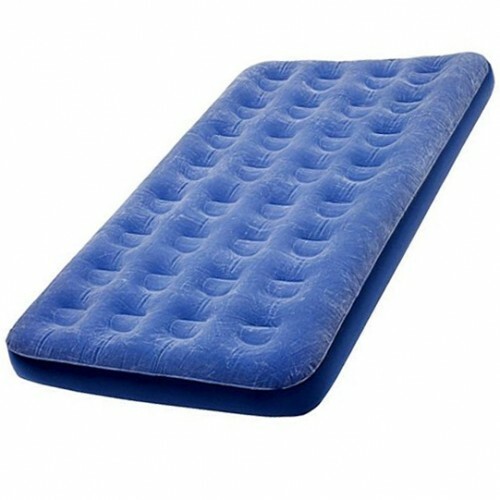 Rest easy on an air mattress. Coil construction for add stability, flocked top material for comfort. Sleep comfortably while festival camping with this flocked airbed. Its strong construction resists punctures, and inner coils provide an extra level of support topped by a soft, flocked top surface for added comfort.